Thailand is a highly popular holiday destination for people of all ages and demographics. Thailand’s culture and idyllic beauty has an almost hypnotic quality drawing visitors, even if they have visited before. To many it is simply the thought of lying on one of the pristine white sand beaches that seem to be the staple image of travel agents worldwide and in Thailand you can experience this delight first hand. Some people love to absorb the culture and history of Thailand on their holidays. There are many monuments and temples to visit. The Buddhist temples have elaborate details in the architecture and are a delight to see and add to your photo collection. Some of the more remote Thailand locations offer a real chance to get away from it all and absorb the natural feel and beauty of the region. Taking an elephant ride through a rainforest while seeing some of the most picturesque habitats and riverside scenery is simply an unforgettable experience that many would love to experience. To experience the pristine beaches Phuket is often a popular destination. The island has an abundance of beaches which are covered in beautiful clean light sands that expand as far as the eye can see. 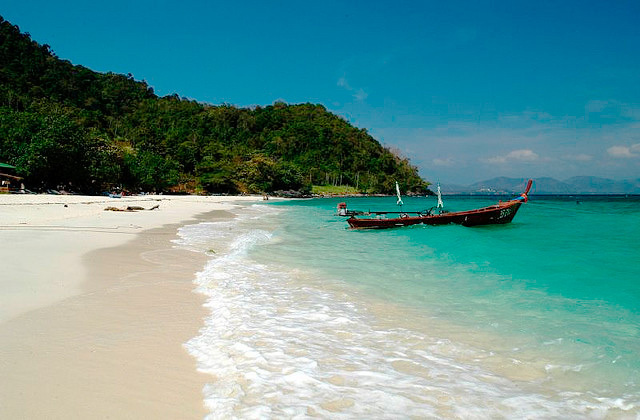 Beaches such as Kata Noi are not as large as many of the beaches, but that is the main appeal. The beach is very rarely crowded so you can lie in peace while feasting your eyes on the beauty that lies ahead. The beach is bordered by jungle so you could quite happily mount a hammock in the tree line and truly relax! If you don’t want to, there is often no need to leave the beach all day long. There are plenty of water sports to try such as snorkelling, surfing, jet skiing and parasailing. After you have worked up an appetite there are beach restaurants to dine at for full meals or snacks. As the day eases into evening you can relax in the sunset without a care in the world feeling like your everyday life is a million miles away as the sun sets over the glorious postcard views before you. 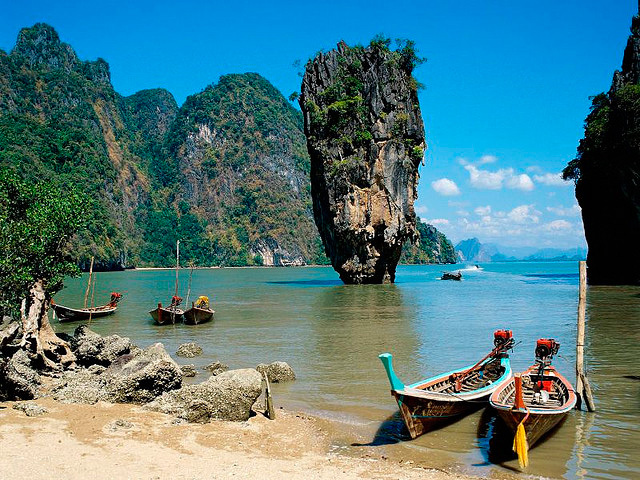 There are many day trips available away from the island of Phuket. Some of the trips include snorkelling at Coral Island. The island has coral reef just metres away from the sandy shores that makes stunning viewing. There are also trips that allow you to travel by speed boat while Island hopping, exploring the smaller uninhabited islands which can be great fun. Phang Nga Bay is another place worthy of a visit by boat. The bay is an unforgettable sight; its many tiny islands that have sheer vertical cliffs are a wonder to see as they protrude from the ocean. Whatever you want to do, whether it is to explore or to be lazy, Thailand is a destination not to be ignored.